A major deterrent for burglars is when they see that a homeowner has invested in a protection system. The burglar will move on to a house that is less secure. So, it is wise to make sure that your home has a security system that operates at its best at all times. Many companies offer several options for their security systems and monitoring services. 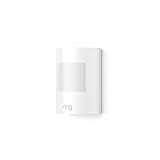 Telus Home Security is one company that provides a multitude of devices to help protect your home. The Connect bundle starts at $39.99. Using real-time notifications, you’ll have access to your home’s security system at any time of the day or night with your smartphone, tablet, or computer. 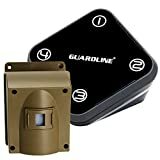 Guardline Wireless Driveway Alarm Outdoor Weather Resistant Motion Sensor & Detector- Best DIY Security Alert System- Stay Safe & Protect Home, Outside Property, Yard, Garage, Gate, Pool. The Smartphone package starts at $59.99 and includes the total package offering cameras, lights, door locks, and thermostat control. Telus Home Security has its benefits. You can get a free quote when you call to set up a system. You will also have a service professional come to your home and install the system when your security package is ready. Once you have your system, you’ll easily be able to online and manage your account. Another benefit is for those living in Canada because Telus offers services using the reliable Canadian network. For those living in other parts of North America may want to consider Protect America for their home security needs. Protect America got its start in Austin, Texas in 1992 as a small securities firm. Gradually, they have become a well-known entity in the home security business community. They began to offer do-it-yourself packages with 24-hour monitoring services that reduce customer costs and maintaining high-quality security. There are 3 basic packages offered by Protect America. The first, the Copper package, is the most affordable of the 3. The most popular is the second package, Silver. The Platinum package offers you the most protection. With any of the bundles, you can also add Smart Home Automation. 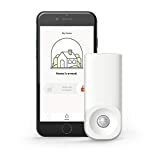 Smart Home Automation allows you to use a smart device, such as a smartphone, laptop, or tablet, to access your connected home devices. You’ll be able to remotely control lights, door locks, temperature, and in some cases appliances. There are no upfront costs and no hidden fees. Installing the equipment yourself will reduce your initial cost. When you’re ready to start protecting your home from unwanted invasion, consider ProtectAmerica.com. Get started with a free quote today.